As a chef for over thirty years on three continents, I learned a great deal about adapting, using up, and making something out of nothing. I found it’s possible that, with a little imagination, and not a lot of money, you can eat really well, by just using bits and pieces of food in the cupboard. 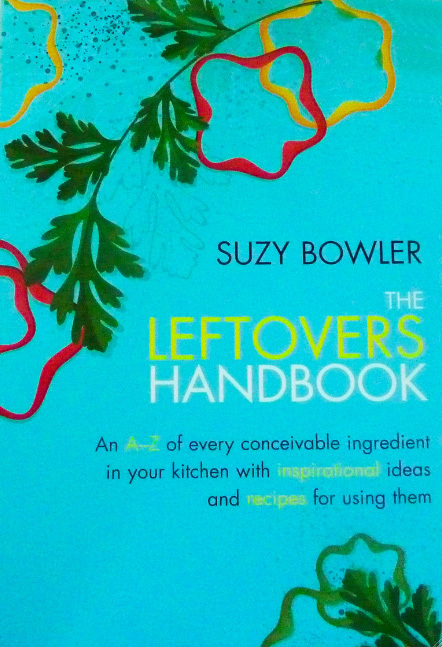 That’s the reason why I wrote The Leftovers Handbook: An A-Z Of Every Conceivable Ingredient In Your Kitchen With Inspirational Ideas And Recipes For Using Them. In it, I list over 450 possible leftover ingredients with all the interesting and creative ideas I can think of for getting the best out of them. Some of the most popular recipes in the book feature one of my favorite ingredients – bacon, and runner-ups, chocolate and cheese. Living in the UK, I am amazed at the blatant food waste that now seems to be rife in the country; amazed and irritated, so much so, in fact, that I started a blog called, Sudden Lunch! ~ spontaneous eating from store cupboard and leftovers ~ as an attempt to show people that there is an alternative to throwing food away. Bacon represents an excellent example. At the risk of being unpatriotic, I must say that American bacon is wonderful; it’s much better than ours! It is so sweet and salty and crisp. It stands to reason that not a morsel of this delicious stuff must be wasted. In The Leftovers Handbook, I list 34 ideas for leftover bacon, bacon scraps and bacon grease. 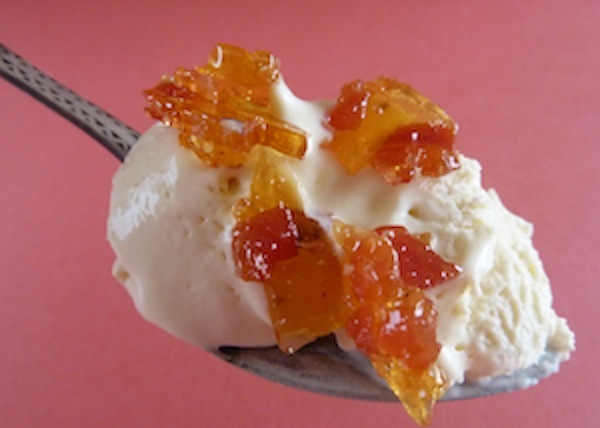 I am pleased with them all, of course, particularly sprinkling crunchy pieces of bacon onto vanilla ice cream with a drizzle of maple syrup. The book also features recipes for maple glazed bacon, caramelized bacon, warm bacon dressing, and much much more. My favorite, though, is something I use a lot… bacon salt. Never throw away leftover bacon again – turn it into delicious bacon salt! 1 lone slice of bacon 1 tsp. of crunchy sea salt ~ Preheat the oven to 375ºF or so. ~ Cook the bacon till it seems to have gone too far and looks horrible! ~ Pat dry with kitchen paper and set aside to cool and go hard. 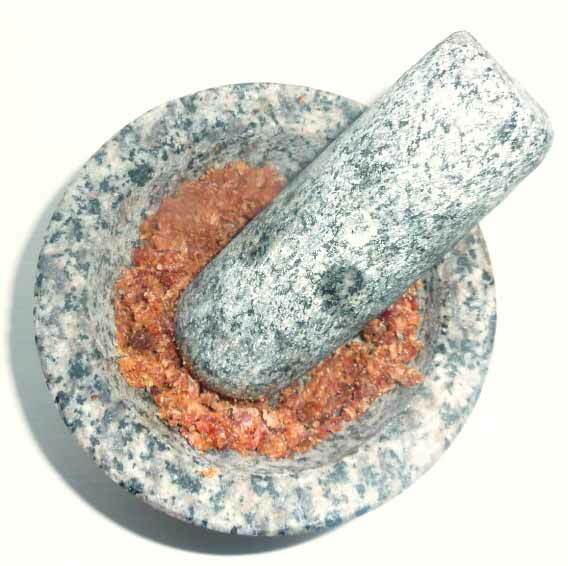 ~ Break into pieces and crush together with the salt in a mortar and pestle. ~ Store in a sealed jar in the fridge and sprinkle on eggs, fish, tomatoes, popcorn… anything really! If you’re like me, bacon isn’t your only guilty pleasure. I am also a huge fan of anything with chocolate or cheese. This is why my book features plenty of recipes with these terrific foods as the main ingredient. Here are two favorites. My book includes ten recipes for leftover chocolate, including the following recipe which is particularly good with chili chocolate such as that made by Lindt. (per person) 1 oz. leftover bittersweet chocolate 1 flour tortilla (plain!) 1/2 oz. 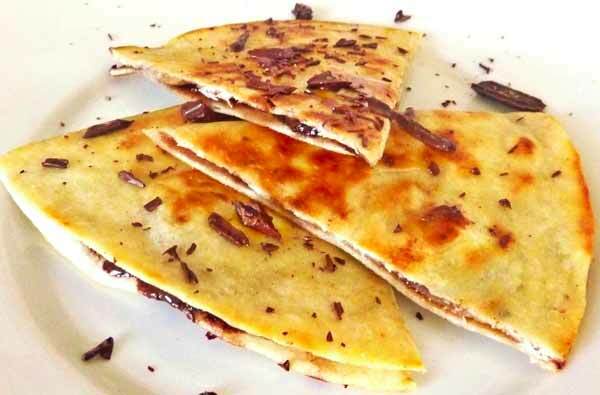 butter ~ Coarsely chop the chili chocolate and sprinkle over half of the tortilla. ~ Fold in two, pressing down firmly so that no chocolate can escape. ~ Melt the butter in a non-stick pan. ~ Gently fry the quesadilla in the butter until crisp and golden on the outside and lovely and gooey in the middle. Enjoy! Here is a recipe for a traditional frugal dish from Wales where it is often made with Caerphilly, a crumbly somewhat feta-like cheese, but whatever strongly flavoured leftover hard cheese, such as sharp cheddar, will work. (for 2 people) 4 oz. soft breadcrumbs 3-1/2 oz. grated cheese 3 oz. finely chopped leek softened in a little butter for a minute or two 1 egg yolk a pinch of mustard powder salt and pepper another egg – beaten and set aside more breadcrumbs OR…Even better, if you can get them, panko crumbs (Japanese/Welsh fusion!) ~ Mix everything together. ~ Taste and season, then form into 6 small sausages. 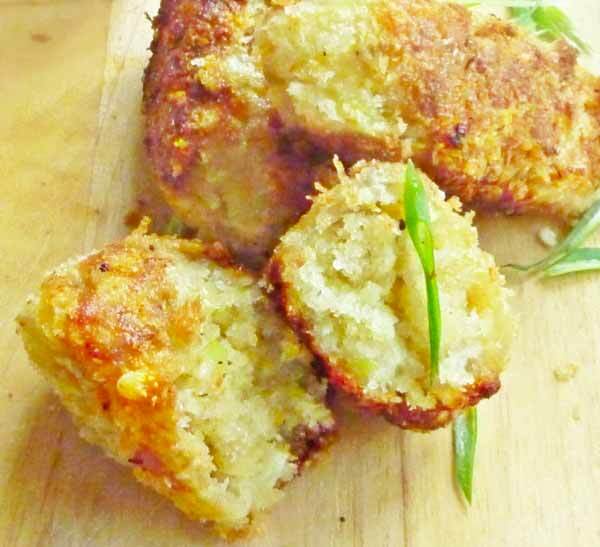 ~ Dip in the beaten egg, coat in the crumbs and shallow fry until hot, crisp and golden. Serve for breakfast with eggs and bacon, or for lunch with a tomato salad. A (not particularly Welsh) spicy tomato sauce goes well, too! In addition to suggestions and recipes, I have included guidance on storage, a rant about ‘best before’ dates and suggest food pairing ideas, so that if you have two leftovers at the same time, you can check if they might work together. There is a chapter on what to keep in the cupboard so that cooking can be spontaneous, and another one on flexible basic recipes, which can be used for all sorts of bits and pieces. One good idea to avoid wasting food is to start Freezer Collections. These are a great way of saving up trimmings and scraps until there are enough to make something good. I always have separate meat, fish and bread collections. The Leftovers Handbook has been written in English English, I’m afraid, and with all that goes with that, including the occasional oddity such as Mushy Peas or Haggis. But food is international, as are leftovers, and if readers from around the world are as irritating as us Brits, you might find my book useful! The Leftovers Handbook is available at Amazon, and also in the WeHateToWaste Store. Suzy Bowler has been a somewhat itinerant chef for over 30 years. After 14 years of running a hotel and two restaurants in Cornwall, in partnership with her sister, she set off on her travels. Suzy has cooked in a ski resort in the French Alps, on a passage making yacht around Madeira and the Canary Islands, on a catamaran in the Caribbean and in New Zealand. She then settled in the Caribbean and worked as a chef in the British Virgin Islands for many years. All this traveling taught her not only a great deal about different foods of the world but also how to make the best of what you have. Suzy has now returned to the UK, where she lives in Cornwall and spends her time cooking, eating, blogging and writing (or sitting on the couch as her partner calls it!). I would experiment with the leftovers and see if you could develop a new and unusual food product everyone loved. Then I’d go on Shark Tank. Nice idea, Mark. I am an advisor to masters degree student doing a thesis on social innovations involving food waste. We have been thinking about ideas like this one, and also some new traditions. One idea: Pot Luck Sunday… you bring your leftovers, I bring mine, and while I may be tired of mine, they might be something new and different to you. One man’s leftovers is another man’s luscious meal? I love these creative ideas! I really enjoy being able to concoct new ways to make leftovers more appetizing. One thing I like to do with leftovers I have after entertaining guests, is to provide each person with a reusable container so they can take a little souvenir treat with them. I know my refrigerator doesn’t have the space for all of the goodies and I know that the food won’t go to waste! I recently shared this article with friends on Facebook, and the following comments came rolling in: “When is there ever leftover bacon?” “If you have leftover bacon, then you’re doing it wrong.” “Wait, what? You mean people have leftover bacon?! Who?! ?” “Yeah, I’ve never even heard of left over bacon.” I can’t take part in this debate, because I have primarily been a vegetarian for the last 15 years. But I do remember loving bacon as a kid. The greasier and the more burnt, the better. I gave up bacon when the movie, “Babe” came out. But seriously, I love the idea of your book, Suzy. I derive great pleasure from making a meal out of remaining ingredients in my fridge and cupboard. I usually make stuff up as I go. But a cookbook with recipes dedicated to specifically using odds and ends is pretty brilliant. I need this in my life! I thought I was the top chef when it came to leftover recipes but the game has been taken up a notch. I would not ever in my life would think to come up with making a chocolate quesadilla. I can only imagine what other recipes this book holds. This is necessity for every college kid but never in my life would I think I would hear the phrase “leftover bacon.” That little piece of crispy and crunchy heaven is gone in less than 2 minutes around me and my circle of friends.